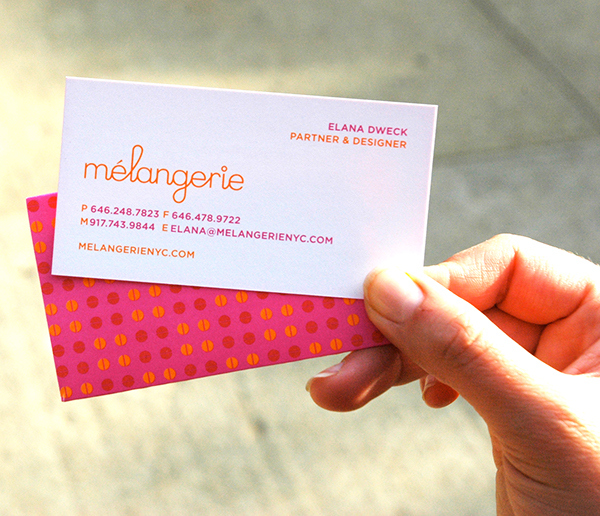 Mélangerie Inc. is a Brooklyn-based design studio specializing in paper goods, gifts & event details for private and corporate clients. 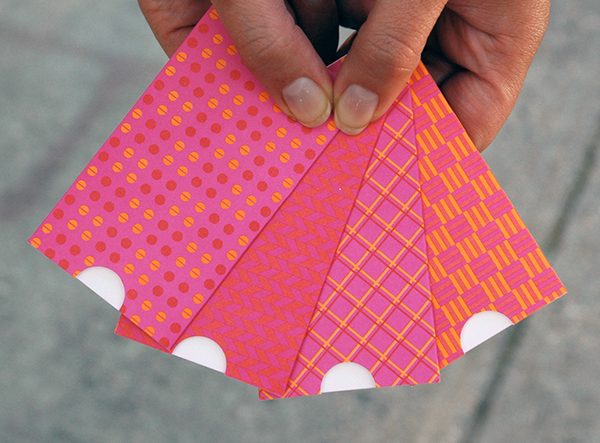 Identity design reflects the modern yet whimsical style of the studio, featuring a double-sided business card with custom patterned sleeve. 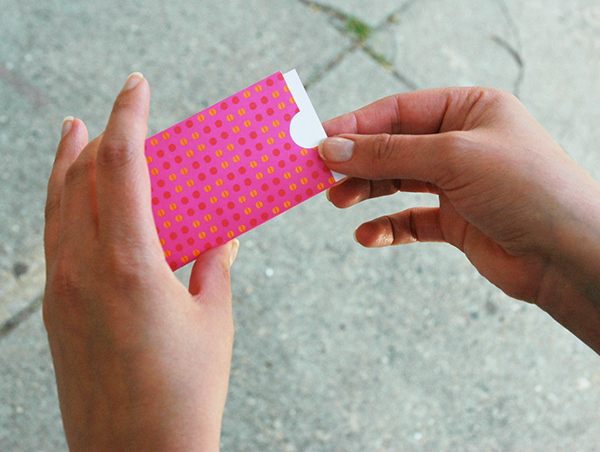 The reveal of pulling the business card out of the sleeve mimics the reveal of opening a well-wrapped gift, emphasizing the studio's brand message. 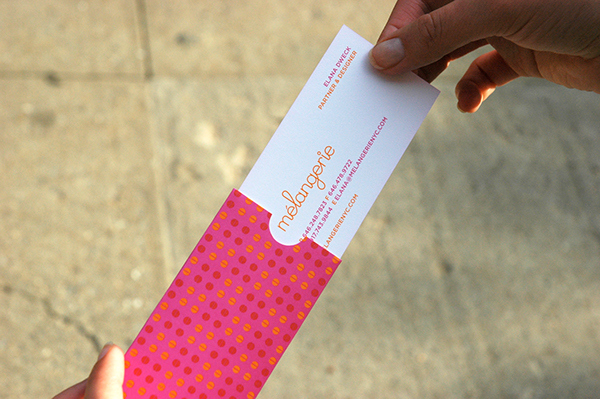 Art Direction, Typography, Design & Patterns by Elana Dweck for Mélangerie Inc.